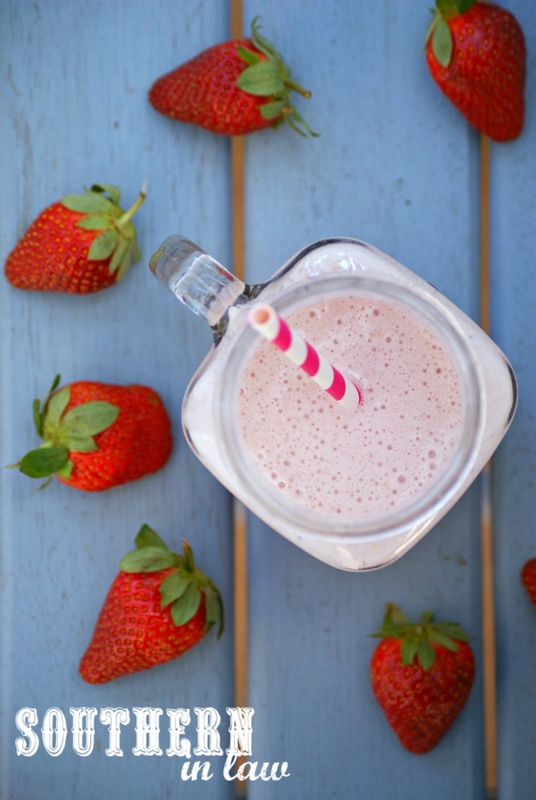 Southern In Law: Recipe: Our Favourite Healthy Strawberry Protein Smoothie! Recipe: Our Favourite Healthy Strawberry Protein Smoothie! Hello!!! I'm still alive! Luckily my Iron Infusion on Monday was much kinder on my body and I haven't had anywhere near the same reaction I had last time. But I didn't come to talk about me - I came to talk about SMOOTHIES! Whilst in the past I was always a banana smoothie girl, lately I've been switching things up and there's a new favourite on the block. 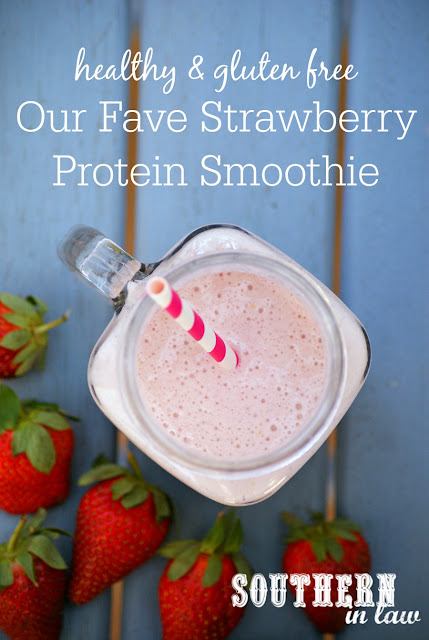 This Healthy Strawberry Protein Smoothie Recipe is seriously delicious - and can be enjoyed year round thanks to frozen strawberries! It's all natural with no added sugar (though you can definitely add in some honey, maple syrup or stevia if your strawberries aren't sweet enough) and jam packed with protein to fuel you through a busy day! I've been enjoying one for morning tea after my workout and I am all sorts of obsessed! In a high powered blender, blend your smoothie until all of your strawberries have broken up and your smoothie is thick and frothy. Pour into a large glass and enjoy! How easy is that?! 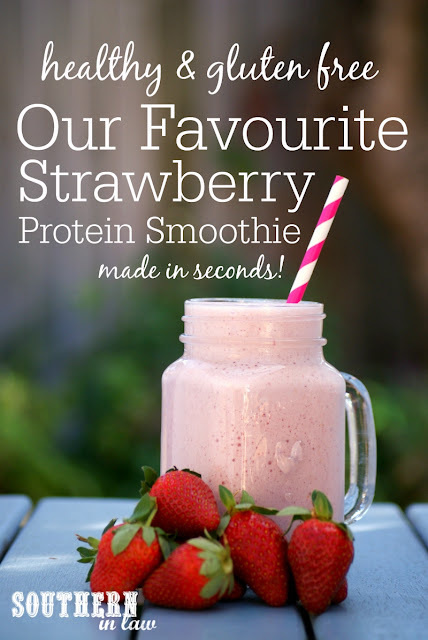 In our Omniblend, this smoothie takes all of 35 seconds to make a thick and delicious smoothie! But tell me, what's one food/drink you can't get enough of right now? And are you a smoothie fan? I can't eat smoothies for breakfast or a meal (girl needs solid food! ), however, I can definitely drink smoothies as a snack option!